Spain's Energy Sistem is starting the new year off with a bang with the release of three new ereaders. This company has been putting its brand on ereaders for several years now, and they've just added a trio of ereaders with medium-resolution Carta E-ink screens to their catalog. 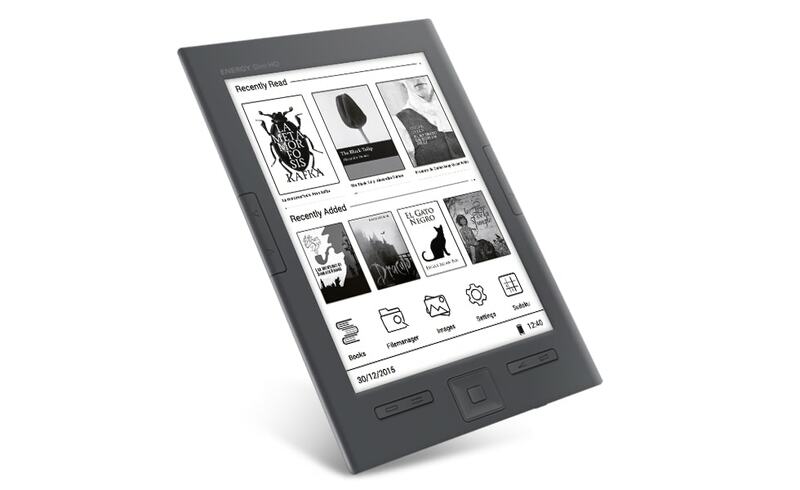 The 3 ereaders range in price from 75 euros to 129 euros making them (roughly) competitors to the basic Kindle and the Kindle Paperwhite, which retail for 69 euros and 119 euros, respectively, in Europe. 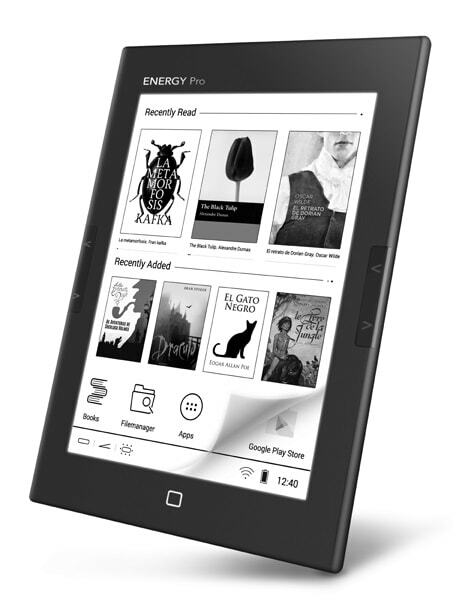 The Energy eReader Slim HD is a cheap ereader that lacks a touchscreen or Wifi but makes up for it with page turn buttons, a 1024 x 758 resolution Carta E-ink screen, 8GB of storage, and a microSD card slot. That's an odd set of trade offs, one which might not appeal to everyone who can afford the 75 euro price tag. Do you think it's a good value? Neither of the cheaper models are worth it, IMO, but the Energy eReader Pro HD is a different case. This device costs considerably more, and it justifies the higher price tag by running Android 4.2 on a 1Ghz dual-core CPU with 512MB RAM, 8GB internal storage (and a microSD card slot). The Pro HD has the frontlight, touchscreen, and Wifi I would expect from its 129 euro price tag, but it still has the same medium-resolution Carta E-ink screen (1024 x 758 resolution, which is far lower than the Paperwhite's 300ppi screen). 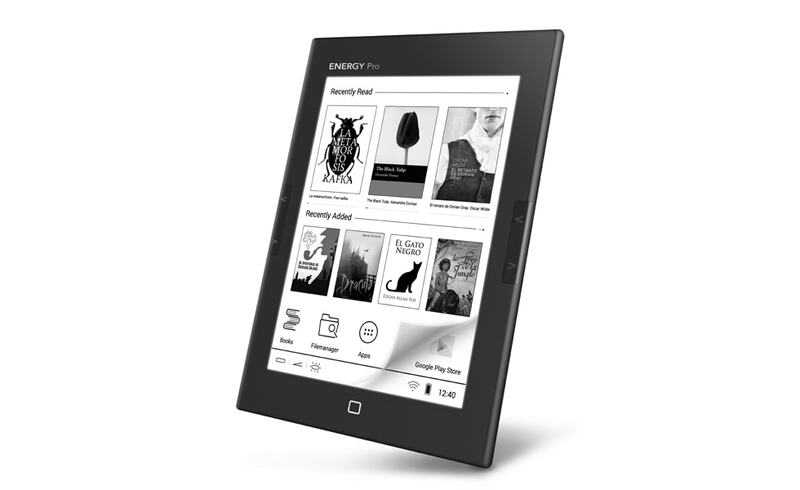 So what do you think of the ereaders? From what I can see, the design of the homescreen suggests that they were made by the Chinese OEM Boyue. This company has a good reputation for decent hardware and software, but I have only encountered their Android ereaders. I haven't tried their cheaper ereaders, or heard user reports, so it is impossible to say whether the budget models will be as good. I have an Energy System ereader! I never thought I would read news form that company here! Ugly design. Why the buttons? And that logo placement… Ugh. Yes, it’s almost as if they let the intern design it.